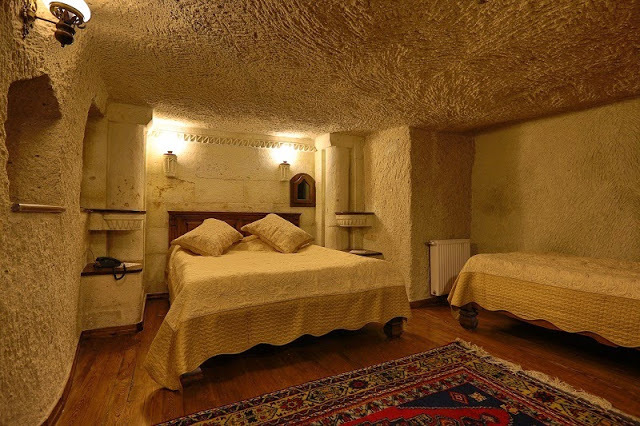 InCappadocia, you can find many cave or inn hotels,especially if you visit there you should stay in Goreme,Uchisar,Avanos,Urgup.The best choice is the first. 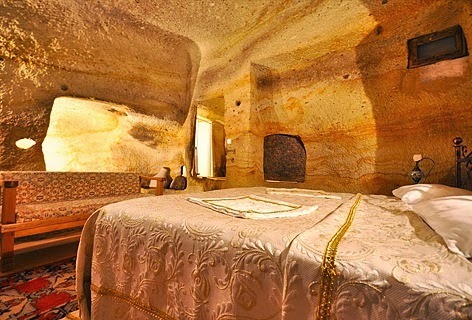 You are in the Anatolian heartland of Cappadocia, a cradle of religions, where many civilisations have developed over thousands of years. 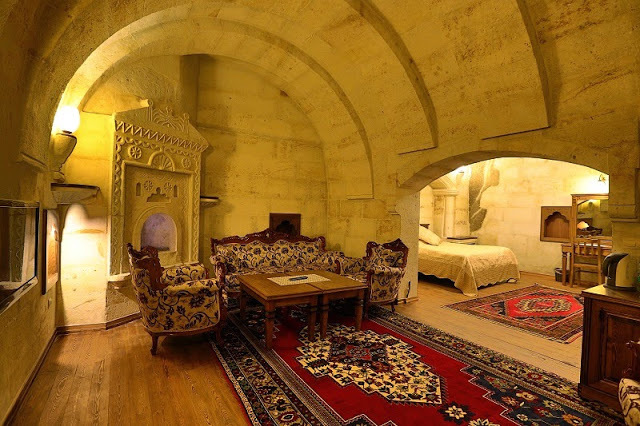 A 300 year old Greek building is the original structure of our hotel which has been delicately restored using Ottoman architectural traditions. 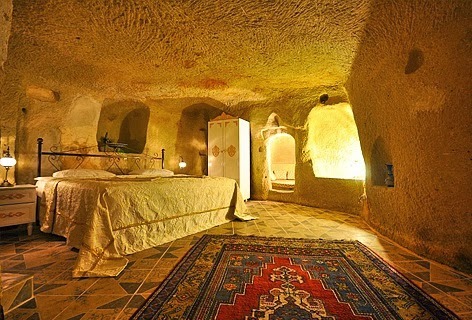 Its magnificent courtyard leads to a terrace that has spectacular views of the fairy chimneys. 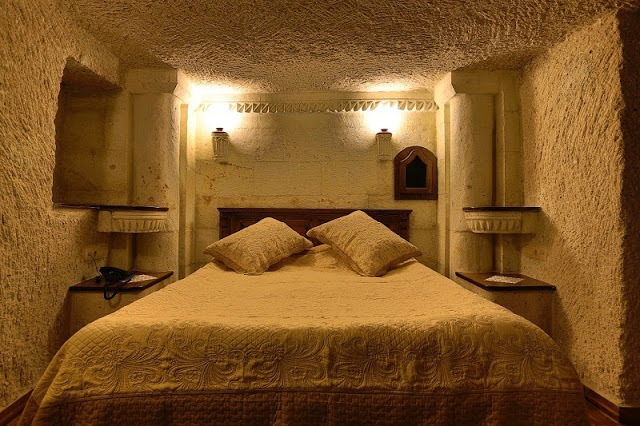 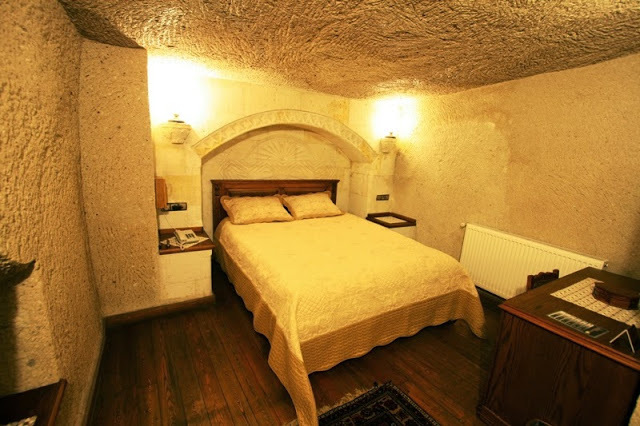 The indoor restaurant is beatifully decorated with its wooden ceiling, a masterpiece of Ottoman art Stone House Cave Hotel has a total of 22 rooms; 9 suite rooms, 8 original cave rooms, 6 stone vaulted rooms (each one with a jacuzzi) We would be delighted to host you for your deam holiday in Cappadocia.